StinkySocks Hockey PUCK BUCK$ gift certificates make an excellent gift for the player or fan in your life. Choose any value of $10 or more. PUCK BUCK$ can be delivered as a digital code on a gift receipt or as a paper gift certificate with the digital code printed on it. 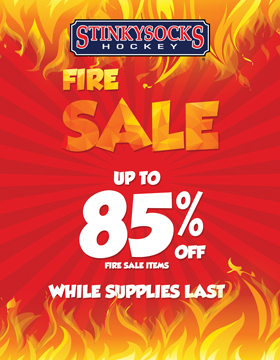 They ca n be used towards any purchase on our website – league fees, No Commitment Hockey games, game wear, apparel, tournaments, and more!